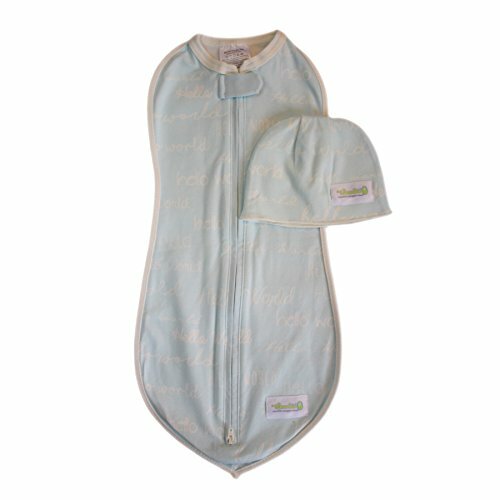 Swaddling has been proven to help babies sleep better, longer & safer. The Woombie swaddle has received over 18 awards for design & innovation and has been nominated as "Moms Favorite Swaddle" for effectiveness and ease of use. Our Infant Care Specialists at Woombie do not believe in restricting the arms and hips to establish successful sleep patterns. By allowing natural "womb-like" movement to occur, baby's transition from womb to world will be more effective and appreciated by moms and little ones. Hat included. If you have any questions about this product by Woombie, contact us by completing and submitting the form below. If you are looking for a specif part number, please include it with your message.